Olympic Restoration Systems is an industry leader when it comes to restoring properties. Ever since we opened our doors in 2005, we have been properly repairing homes and businesses that have been damaged by fire, water, mold or other unforeseen disasters. We also reduce harmful concentrations of radon gasses with our radon mitigation system and specialize in crawl space repair to promote a healthy home. There’s no problem too big or small for our expert teams to handle. If your home is in need of restoration, mold remediation, or crawl space encapsulation or repair, we are the company to call. We offer free estimates for all of our services throughout Greater Dallas Fort Worth - schedule yours today! "After my family home became contaminated with mold, I hired..."
"I have a family member living in Houston who may be in need..."
At Olympic Restoration Systems, our technicians work to restore your house with the utmost care and attention. 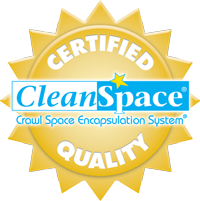 We have helped countless families by putting an end to their crawl space problems, by keeping their homes safe from harmful radiation or by regaining beloved items after a fire. 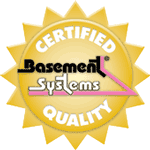 Local homeowners know to trust us for all of their crawl space repair, radon mitigation and disaster restoration needs. See what our customers have to say and learn how we can help you! We want to make sure that your home is restored to its original condition - if not better! We intend to not only provide the best restorative work but also to complete it as quickly and professionally as possible. Schedule a free estimate in Dallas, Fort Worth, Arlington or nearby today!